The next milestone on the way to the smart print shop: Heidelberg is presenting a fully automatic production line for printing plate imaging at drupa. Digitization is resulting in the rapid expansion of automation in the print media industry, leaving no part of the print shop’s production line untouched. In response to this, Heidelberger Druckmaschinen AG (Heidelberg) together with its partner NELA Brüder Neumeister GmbH (NELA) will be showcasing a fully automatic production line for plate imaging with up to three plate formats at this year’s drupa. It is designed to enable industrial users to image, punch, and bend printing plates without stopping, and fully automatically for up to several hours depending on how many printing plates they need and the configuration, and to supply these printing plates to the presses already sorted by job – all without manual intervention. In particular, eliminating the need for manual bending reduces the risk of printing plates being damaged by scratching, increases efficiency in the production process, and all in all increases production reliability. The production line showcased at drupa consists of the new Heidelberg Auto Pallet Loader with a storage capacity of up to 1,200 printing plates, a Suprasetter 106 equipped with a dual cassette loader with a further plate capacity of over 200 printing plates, the NELA SF Bender for automatic bending of the plates, a barcode reader, and a trolley system for effortless transport of the plates to the press. The system can be flexibly adapted and expanded as necessary to meet individual customer requirements. It is fully integrated into the Prinect workflow, from which it obtains the relevant production data in the precise sequence required. Prinect also ensures that each individual printing plate is assigned a barcode containing all job-related data such as color separation and details about the press to be used for the job. The barcode reader integrated into the production line ensures that the printing plates for a job are bundled and sorted in accordance with the required production sequence. 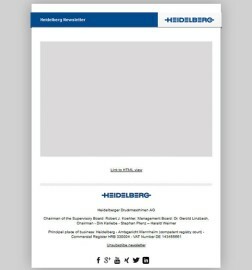 Heidelberg is using this system to produce all the printing plates the company needs for drupa presentations. 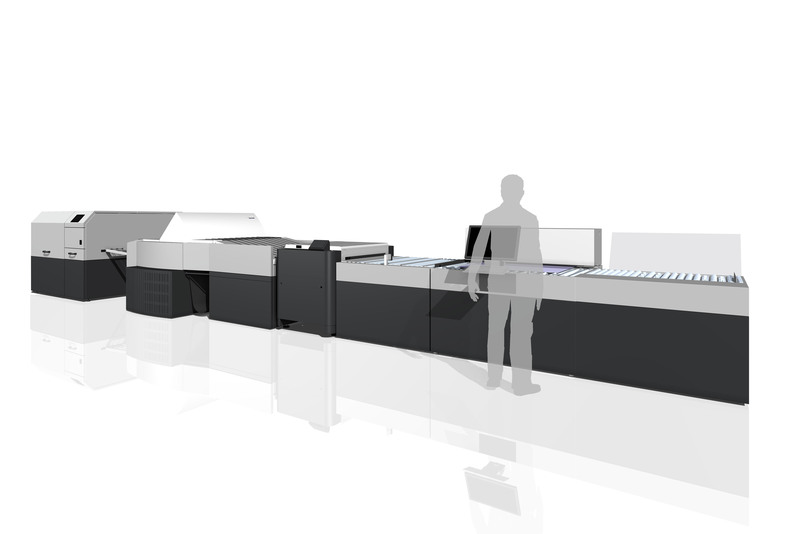 Production can run uninterrupted for around 35 hours thanks to a storage capacity of over 1,400 printing plates in total and an imaging speed of 42 plates per hour courtesy of the Suprasetter 106. 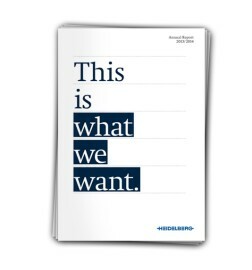 The Remote Services offered by Heidelberg deliver critical added value for further increasing the availability of the virtually unattended printing plate production line. If, for example, the printing plates unexpectedly become backed up, an e-mail or SMS is immediately sent to a print shop employee’s PC, smartphone, or tablet. If the employee cannot fix the problem himself, he can get online support at any time from the experts on the Heidelberg service team. They can fix a lot of problems online without too much time lost, or at least clarify the service parts required so that a service technician can bring them along on a service call. “Digitization in the print media industry is opening up industrial production processes to print shops on an unprecedented scale. Fully automatic printing plate production of the kind we will be showing you at drupa is an impressive example of how Heidelberg together with its partners is making the smart print shop a reality for its customers. 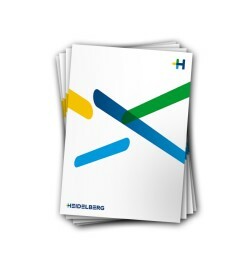 Our customers benefit from more efficient production processes and lower costs; their competitiveness is enhanced and their work is made easier,” says Peter Tix, Head of Business Area Consumables and CtP at Heidelberg. A number of Heidelberg customers are already using the system in a variety of configurations and are convinced of the benefits: “It’s an industrial revolution! We’ve noticed a dramatic increase in efficiency in CtP production and in job preparation for the pressroom since we’ve been using Heidelberg’s fully automatic production line for plate imaging. Before this system, the process from the processor to the printing unit involved lots of manual steps. The fully automatic system has cut this down to just one: taking it out of the box and installing it in the printing unit”, says Felix Signer, Quality and Process Manager at galledia ag, Flawil, Switzerland.